Math has always been a threat for many of us! Its usage is wide and bit complex to understand. 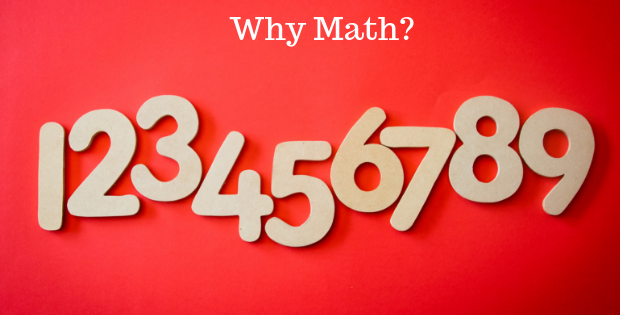 Moreover, interest matters a lot for getting involved with Math. While studying in school it looked like a monster for many students but its implementation in the real-time scenario is enormous. In almost every instance throughout the day we make use of this monster to resolve our issues with or without knowledge. Every country has contributed to this field and the most important contribution from our nation is “Zero”, which was contributed by Brahmagupta in 628 during the reign of Gupta dynasty. Mathematics is the only subject which is blended with our daily lives in order to avoid chaos. It helps scientist to connect dots in science for the new inventions and discovering about this universe’s untold mystery. It aids us to think out of a box by cultivating certain skills such as logical thinking, reasoning, problem-solving ability and many more. It can be made far more interesting by a slight change in the teaching methodology followed these days. Its presence is felt in every one of us. The point is we are unable to sense it beginning from carpenter to mechanic, engineer to doctor, farmer, to cook, and magician to musician everyone makes use of this. Its presence is also evident in science starting from the planets to the revolution of the earth. Without Math, it is impossible to build anything in this world as measurement plays a vital role. Your dishes will not be delicious if your cook is not well versed with the measuring of stuff for cooking. Without Math it won’t be easy to travel as the distance calculation along with fuel consumption has a connection with Math. There may be a frequent occurrence of conflicts with respect to property if Math was not into existence. You will not be able to even connect your expenditures with your income if math wasn’t existing. Most importantly it lets you manage time and plan according to your priority to avoid chaos. Math also aids you in making a handsome amount of money, as people who are well versed with Math concepts are able to rule the market strategy and sustain the competition. Math act as the salt in our food, whose presence is not felt but its absence makes something void. It will be fun to learn Math with interest!! Previous Previous post: Strategies to be used for being placed!! !